“Even though I lost to Jose Maria Olazabal at Formby in the final of the 1984 British Amateur Championship I still hold fond memories of the club and course. Formby provides golfers with a truly wonderful experience from both a playing and aesthetic point of view. “There will always be a special place in my heart for Formby Golf Club. It’s links are a tremendous test of golf and the reception I received from the club and its members during the week of the 2009 British Amateur Championship was very touching. “As I was brought up on heather, pine, gorse and silver birch those are at the forefront of my mind. There are quite a few of them dotted around the British Isles but they are not in huge numbers. A couple here, a small nest of courses there, all of which are a delight to me. Why? Because if the sun shines on a winter’s day with a blue sky, looking out from the clubhouse, the view is pretty well always the same and you can always find your ball on the course during the winter months as it is not hidden under millions of leaves! 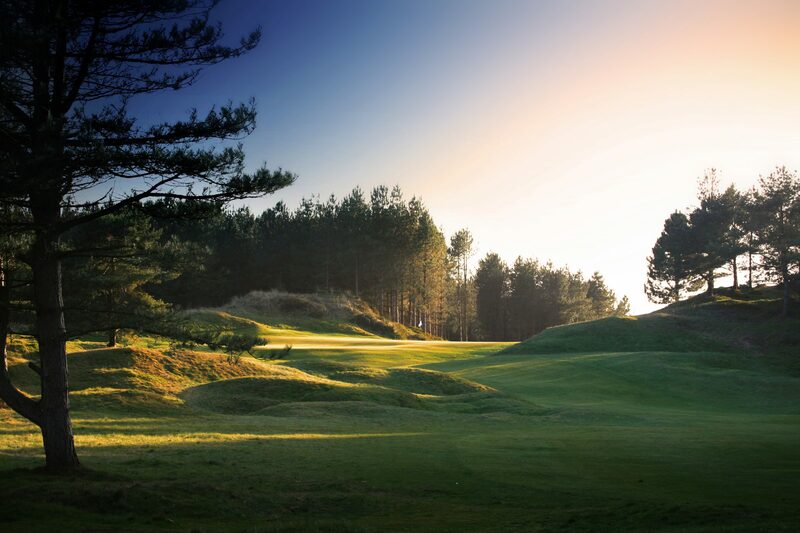 “For me Formby is the prize jewel on what is England’s finest golfing coast. I was fortunate enough to grow up playing my golf on Formby’s fairways and it no doubt helped to teach me a lot of the skills and shots that have propelled me to being the tour player I am today…. My favourite hole is the first at Formby. I have always been a fan of opening holes that cut out the small talk and get straight to the point.